Lock in a great price for Hotel Louis Müller – rated 8.2 by recent guests! Awesome place that has a Bed & Breakfast feel to it. 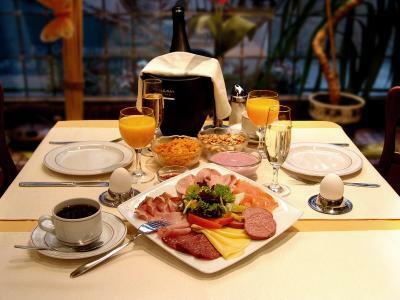 Breakfast is great with eggs, bacon, various meats and fruits. Great breakfast and the staff were very friendly and helpful. The room was adequate. The dinner the night before was good and the breakfast the next morning was OK. The Kitchen was about to close but cooked main meal for dinner for us - lovely food but rather a lot. The staff were great. Road works, needed to park round the corner, buy parking ticket at 7.00a.m. Located in a beautiful little town named Bitburg, which hosts the 3rd biggest bier brewery in Germany. Walking distance from shops and eateries. Breakfast was fine. Bathroom was fine. Room and bed were very clean. Staff was friendly. Parking for the car was fine. ???????????????????????????????????????????????????????????? ????????????????????????????????????????????????????????????? Very nice hotel with a very friendly staff. The room and the food is very good. Hotel Louis Müller This rating is a reflection of how the property compares to the industry standard when it comes to price, facilities and services available. It's based on a self-evaluation by the property. Use this rating to help choose your stay! 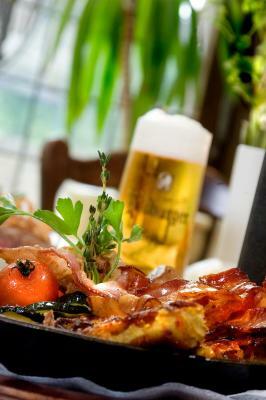 This family-run, 3-star hotel restaurant is located in the heart of the famous beer-brewing town of Bitburg, in the Eifel district of the Rhineland-Palatinate. The Hotel-Restaurant Louis Müller enjoys a tradition of hospitality dating back 5 generations, and consists of 2 historic buildings which are just a few hundred yards apart. In addition to the main hotel and restaurant, there is an out-building and the Casa Luiz tapas bar directly opposite the famous brewery. 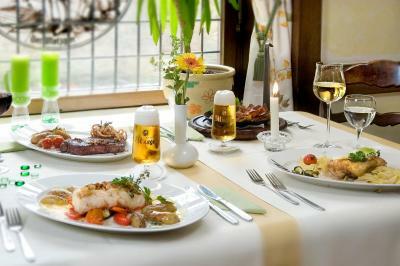 Relax and dine in the cozy Bierstube (beer lounge), and try some local Eifel dishes. A popular highlight is the in-house butcher’s and its sausage and ham specialties. The Hotel Louis Müller is an ideal place to stay for business or leisure travelers in the Eifel district. You can go cycling in the beautiful local countryside, visit Lüneberg zoo, or make convenient day-trips to Trier – Germany’s oldest city – or Luxembourg. This property also has one of the top-rated locations in Bitburg! Guests are happier about it compared to other properties in the area. This property is also rated for the best value in Bitburg! Guests are getting more for their money when compared to other properties in this city. When would you like to stay at Hotel Louis Müller? House Rules Hotel Louis Müller takes special requests – add in the next step! Hotel Louis Müller accepts these cards and reserves the right to temporarily hold an amount prior to arrival. I was shocked at how rude the owner was! He was under the impression that we could not understand German, and proceeded to discuss us openly with his friends. They actually made fun of us and laughed to our faces! I find this extremely rude and will obviously never return or recommend this establishment. The room was on the second floor - no lift. 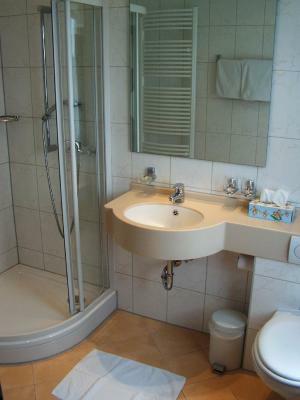 Extremely small room and outdated furnishings and bathroom. Could not even close the curtain as it was only a mock-up curtain! Great breakfast and super friendly staff. Confusing where the parking was. It was in front of some garage doors and had about 5 spaces. WiFi was very weak work in our room. No lifts...difficult to go up the stairs with heavy suitcases...n 2nd floor definitely a problem! Fortunately our driver helped us! Lots of small flies in the restaurant. No elevator, so don’t take heavy luggages with. Clean big room, nice breakfast. Great location! Noise from guests for hours on end in the hallway , in the middle of the night. The bar staff were very slow and not focused , one girl was particularly rude when my friend told her not to remove his glass which still contained beer. the food was very good but had a battle with the flies. All good. Beer food and breakfast v good. Great service. Comfortable bed..